How To Create Your Custom Stickers Packs For Android And IOS Users: Whatsapp has recently introduced the sticker feature for all users. This allows users to send stickers while chatting with friends and family. The company has started to include third-party developers' stickers for this too. 1. The photo you want to make a sticker needs to be PNG image, It means background should be removed. The Google Play Store also has a Background Eraser app that will help you to remove the background of the photo. 2. You should have the latest version of WhatsApp for custom stickers. Save photo sticker in png format. Save 3 to 4 photos at a time, because it creates more than one stickers. 3. 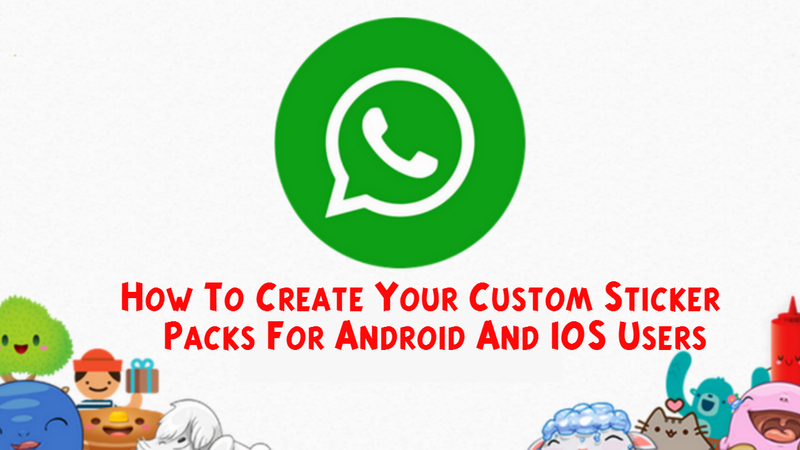 Install Personal Stickers for Whatsapp from Google Play Store. Open it. As soon as you open it, the app will automatically detect any pictures for the stickers in your smartphone. You will see the option of add button in front of the photos just select photo which you want. 4. Now open the Whatsapp and go to Chat and click on the Emoji icon. Here you will find a sticker option select your sticker and send it. Stickers created by you will be saved in your sticker packs, so you will not need to make them again and you can send it to anyone.